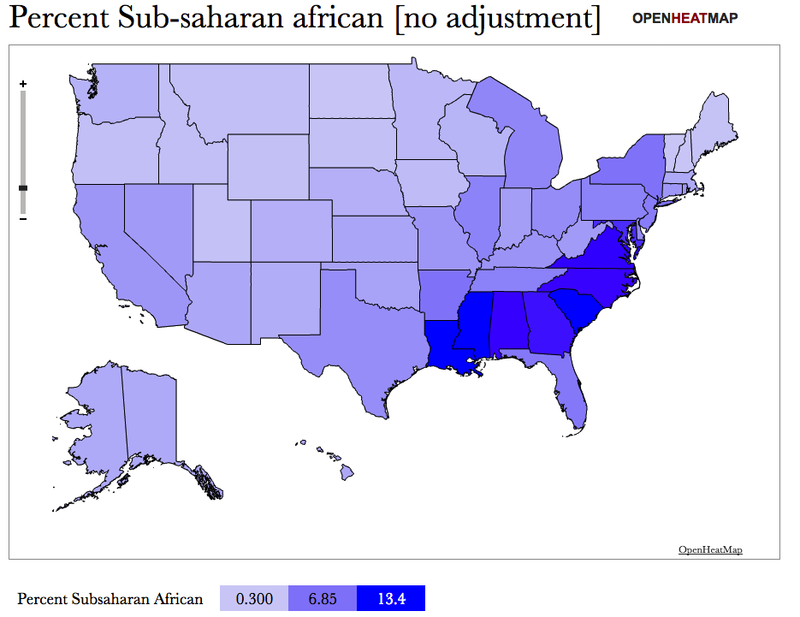 Please note that the low levels of subsaharan African ethnicities and american indian ethnicity in ancestry.com’s data implies that blacks and latinos, in particular, are very much under-represented based of their share of the population. 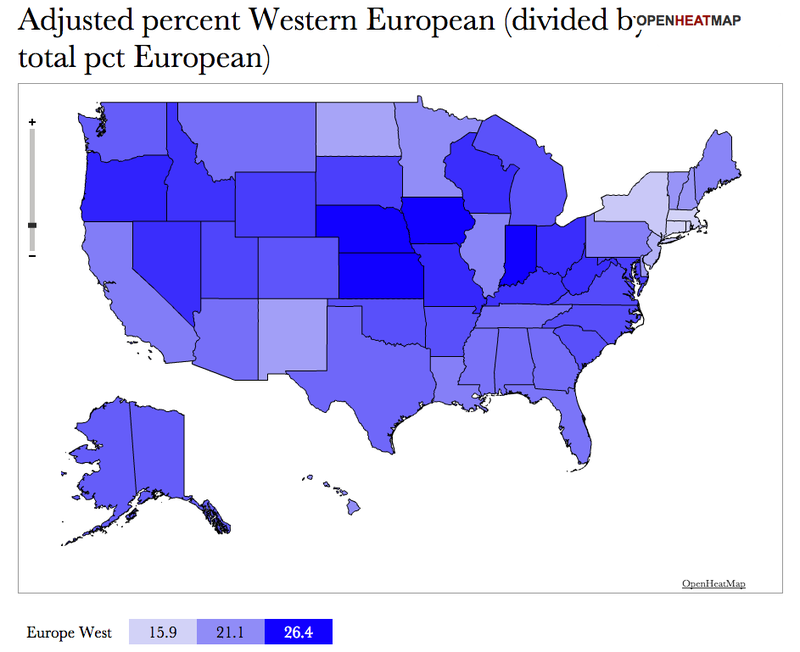 I would presume that this is because blacks and latinos are much less likely to use AncestryDNA (and probably genealogy services in general). Below I very crudely estimated their share of the population based on the proportions of American Indian (~40% average for Latinos) and subsaharan african (~80% average for blacks) genetic material, assuming no admixture with other groups (which obviously is not quite right either). I am not claiming that these figures are exactly right or uniform in all states (I know there is real variance, especially with hispanics/latinos), but it ought to be pretty clear that they are using the service at something like 20-50% the rate of non-hispanic whites, or at least were at the time ancestry.com compiled this “census” (which is why I felt more comfortable using my crude adjustment method to calculate the European percentages! ).